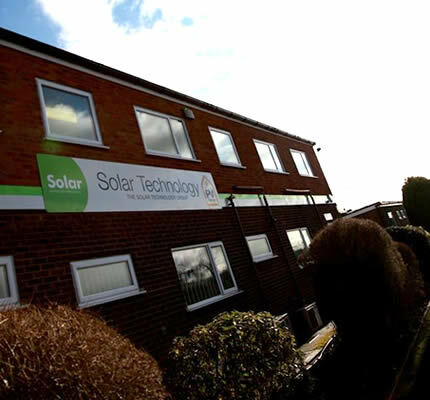 There is no energy source more environmentally friendly than the sun and there is no other company in the UK as well qualified to deliver the benefits of this energy into UK homes as Solar PV Energy. Clean and green solar power is a renewable, sustainable and non-polluting source of energy and solar PV (photovoltaic) panels are the most efficient way of capturing this energy. 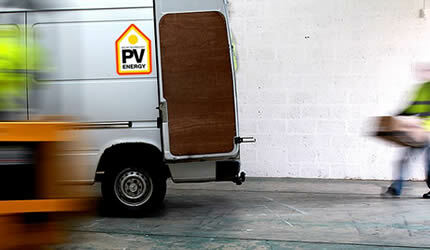 The best way to deliver maximum cost benefits with minimum fuss is by installing the unique PV Energy Home System. There is no energy source more environmentally friendly than the sun and there is no other company in the UK as well qualified to deliver the benefits of this energy into UK homes as PV Energy. One of the most important elements of a solar PV system to check for when looking at installing a Solar PV system is the design and installation. A poorly designed system can result in the use of inverters that are not ideally suited to the size of the selected solar array. Thereby reducing the performance of the system and ultimately significantly reducing your earnings. Likewise a quality system fitted by an accredited MCS solar installation company is vital to not only protect the components of the PV system and ensure they remain in place in all weathers for the entire 40 year life cycle of the system but to also ensure you property is left undamaged and without roof leaks. Based in Gloucestershire, Solar PV Energy provide a nationwide installation service for domestic and commercial PV systems and have over 14 years experience in PV engineering. Based in Gloucestershire, Solar PV Energy provide a nationwide installation service for domestic and commercial PV systems and have over 14 years experience in PV engineering. Our installation teams are experts in roofing but go through extensive additional training to ensure our PV Energy systems are handled and installed in the correct manner with minimum of fuss. Our install teams all carry identification, are courteous and take every care to ensure disruption is kept to a minimum. All installs are typically complete in 1 day and once the system installed we then test and commission the system. The engineer will also take time to explain how the system works and what yield you should expect. We also offer a "Smart Meter" option so you can keep an eye on performance of your system at any time via an internet connected computer, Tablet or smart phone. You will also be supplied with a "Welcome Pack" that gives further details of the system, copies of the MCS certificates, and details about the micro generation departments at all the UK's energy providers so you can start claiming your Feed in Tariffs and export payments right away.